Nature writer, biocultural conservationalist, and agroecologist Gary Nabhan shares his books about using community-based collaborative restoration strategies to recover the remarkable food biodiversity at our doorstop. 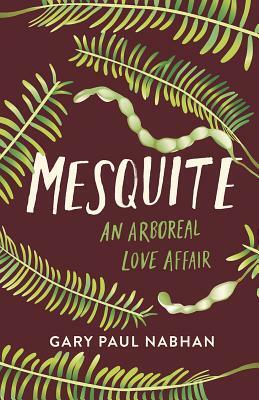 In his latest book, Mesquite, Gary Paul Nabhan employs humor and contemplative reflection to convince readers that they have never really glimpsed the essence of what he calls "arboreality. "As a Franciscan brother and ethnobotanist who has often mixed mirth with earth, laughter with landscape, food with frolic, Nabhan now takes on a large, many-branched question: What does it means to be a tree, or, accordingly, to be in a deep and intimate relationship with one? To answer this question, Nabhan does not disappear into a forest but exposes himself to some of the most austere hyper-arid terrain on the planet--the Sonoran and Chihuahuan deserts along the US/Mexico border--where even the most ancient perennial plants are not tall and thin, but stunted and squat. There, in desert regions that cover more than a third of our continent, mesquite trees have become the staff of life, not just for indigenous cultures, but for myriad creatures, many of which respond to these "nurse plants" in wildly intelligent and symbiotic ways. In this landscape, where Nabhan claims that nearly every surviving being either sticks, stinks, stings, or sings, he finds more lives thriving than you could ever shake a stick at. As he weaves his arid yarns, we suddenly realize that our normal view of the world has been turned on its head: where we once saw scarcity, there is abundance; where we once perceived severity, there is whimsy. Desert cultures that we once assumed lived in "food deserts" are secretly savoring a most delicious world. Drawing on his half-century of immersion in desert ethnobotany, ecology, linguistics, agroforestry, and eco-gastronomy, Nabhan opens up for us a hidden world that we had never glimpsed before. Along the way, he explores the sensuous reality surrounding this most useful and generous tree. Mesquite is a book that will delight mystics and foresters, naturalists and foodies. It combines cutting-edge science with a generous sprinkling of humor and folk wisdom, even including traditional recipes for cooking with mesquite. 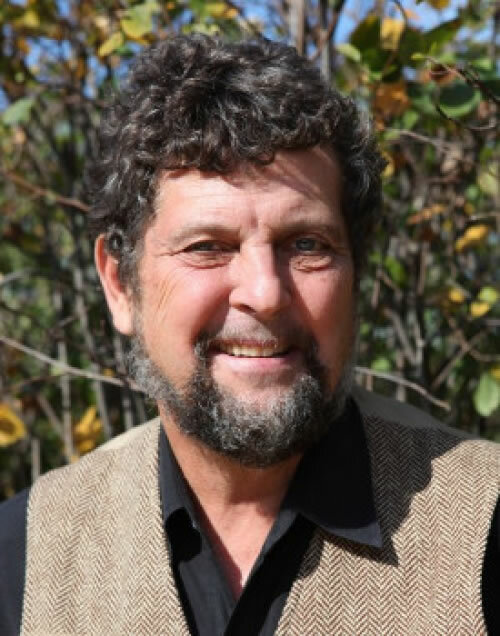 GARY PAUL NABHAN is an internationally celebrated nature writer, food and farming activist, and proponent of conserving the links between biodiversity and cultural diversity. He holds the W.K. 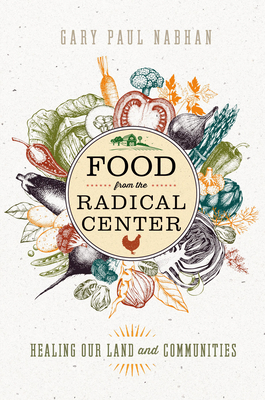 Kellogg Endowed Chair in Sustainable Food Systems at the University of Arizona Southwest Center, where he works with students, faculty, and non-profits to build a more just, nutritious, sustainable, and climate-resilient foodshed spanning the US/Mexico border. He's also the author of numerous books, including Growing Food in a Hotter, Drier Land, Renewing America's Food Traditions, and Chasing Chiles. He lives in southern Arizona.